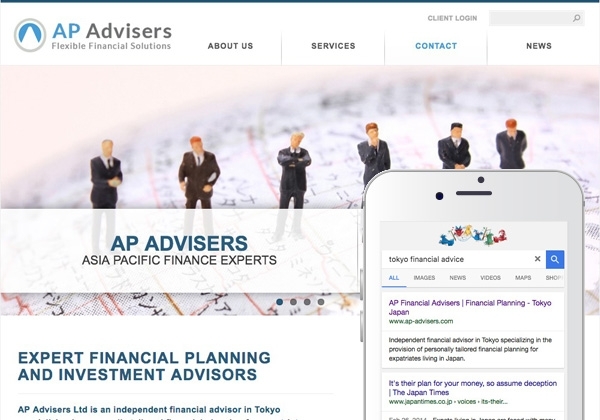 AP Advisers are an independent Tokyo Financial Adviser primarily focusing on the international community. 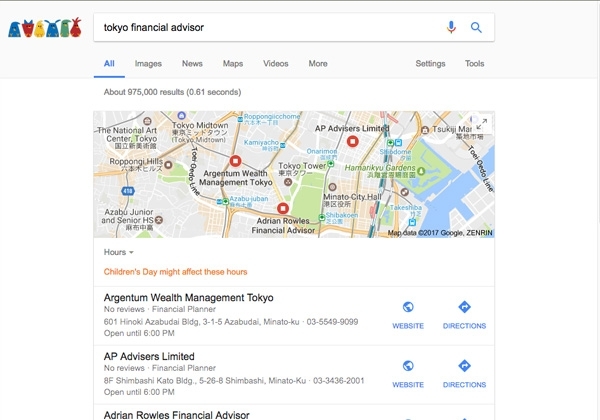 AP had noticed their Search Engines results were not very high, brought to light when another company appeared competing with their own company name from a dubious SEM campaign. After trying a few things themselves and receiving advice from other sources AP called upon Rain for some consultation and implementation. While Rain doesn't strongly present itself narrowly as an SEO/SEM specialist company we do consult on and implement Digital Strategy, and have been highly successful in former Search Engine Result Optimisation projects and Reputation Management operations. After consulting with AP to understand their SERP targets and help them understand the broad concepts of modern SEO/SEM we provided them a personalised range of options to boosting their search page result ranking. 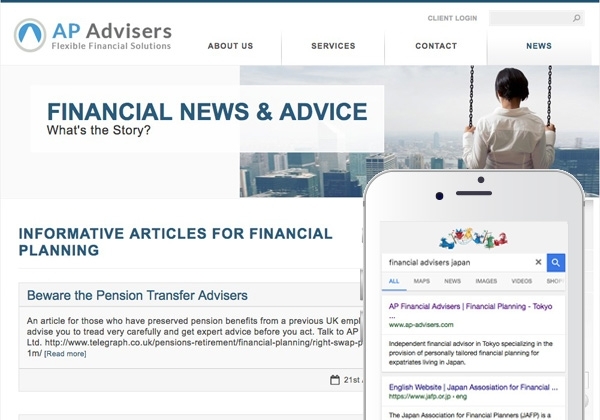 Implementing changes to their site both in terms of coding, content placement and off site practices, we took AP Advisers' organic search ranking from 46th to 1st in a matter of weeks. 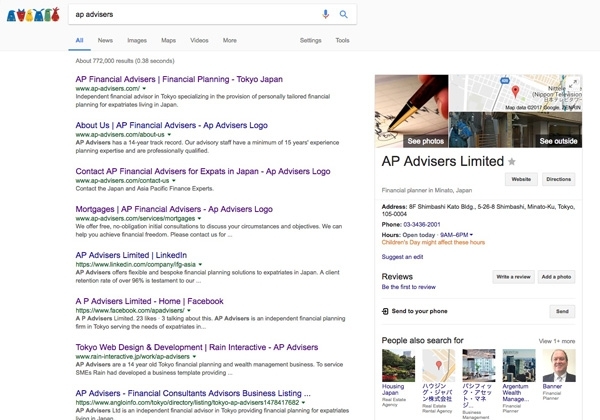 Additionally our implementation allowed AP Advisors to appear in various Rich Result displays on Google results pages further increasing online visibility. 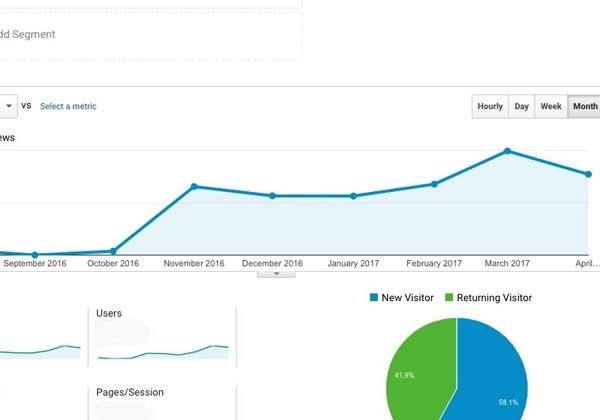 Within 1 week of implementation AP reported new leads contacting them and over a period of 6 months their site traffic increased 1500% - the initial jump happening within 1 month. 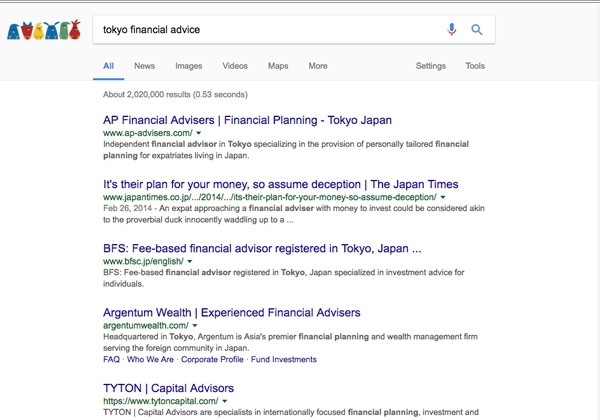 Successful SEO is also a continual process, so as part of our advisory, we coached AP Advisors on how they could effectively compete organically in search engine results based on their own abilities and resources.